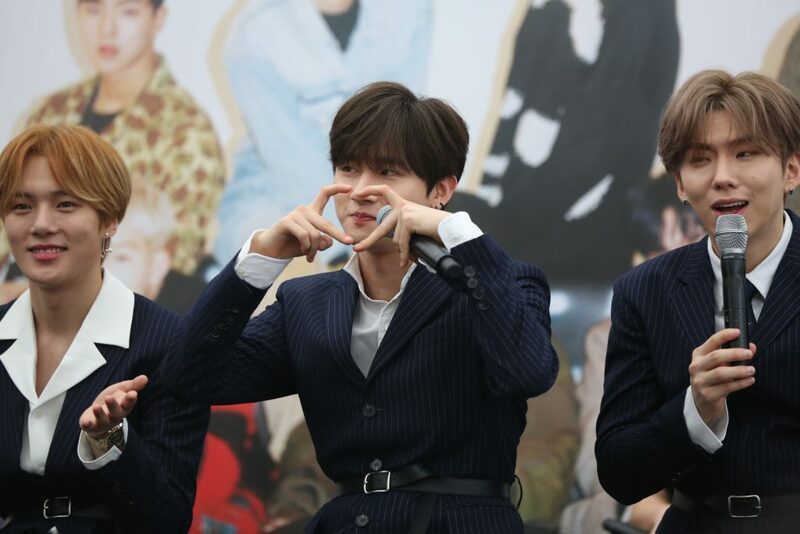 The K-pop idol’s gentlemanly ways are melting hearts. 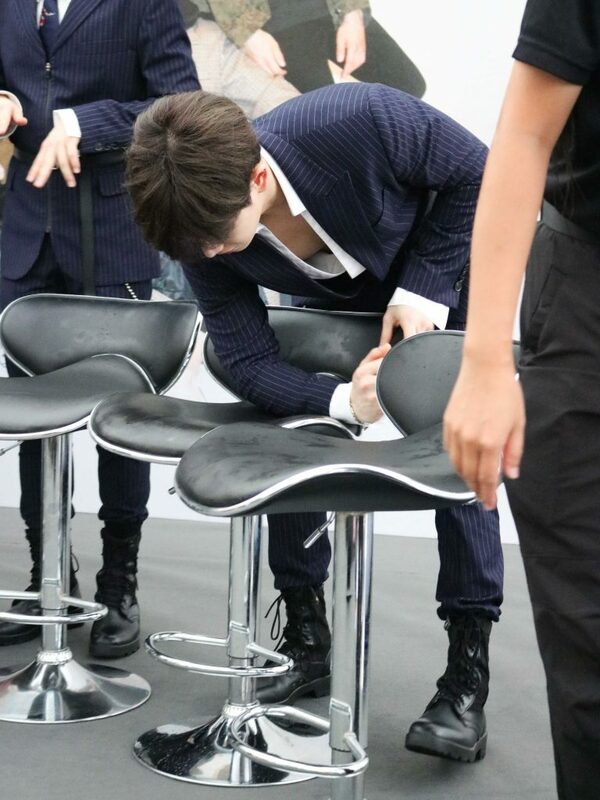 Instead of stepping back to seek shelter from the rain, K-pop boyband Monsta X member Wonho swiftly leaned forward to wipe wet seats for lucky fans to sit on, touching them with his considerate and thoughtful actions. The South Korean group was recently in town to headline the HSBC Women’s World Championship where they held an open press conference a day prior to the performance to speak to the media and fans. Best known for their songs “Dramarama” and “Beautiful”, the 7-member group was formed through survival ranking show “No Mercy” in 2015. The group’s soaring popularity propelled them to clinch the prestigious “Disk Bonsang (Main Prize)” at Golden Disk Awards 2018 and “Best Concert Performer” from Mnet Asian Music Awards 2017. 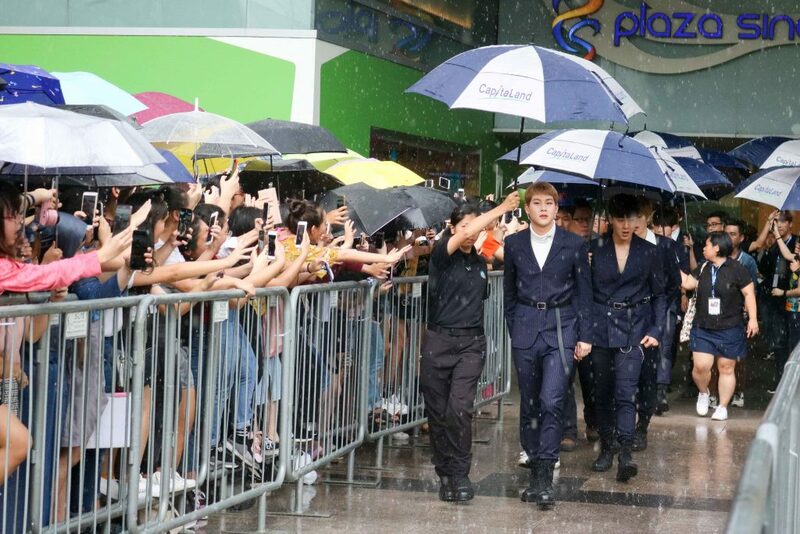 In spite of the heavy downpour, a 500-strong crowd of young fans, also known as Monbebes, endured the rain to catch a glimpse of the stars. 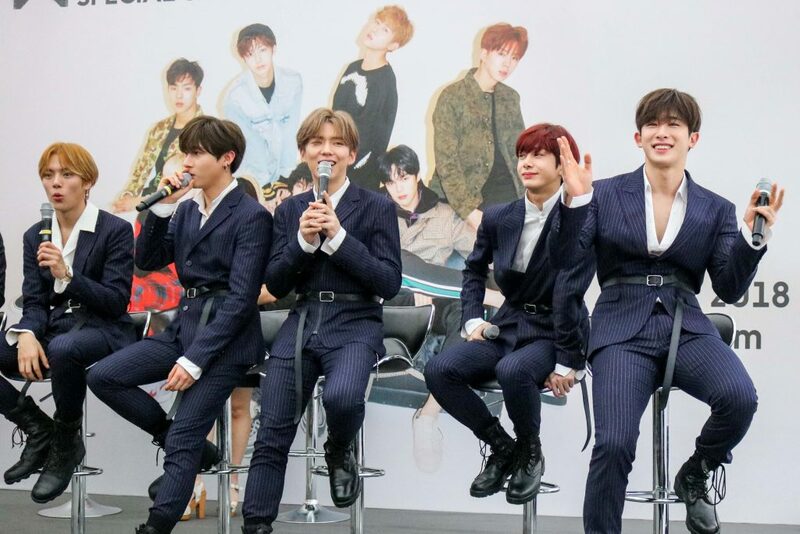 17-year-old fan, Anna Wong, who admired the boyband for their relatable personalities and good looks, could not hide her disappointment at the situation. 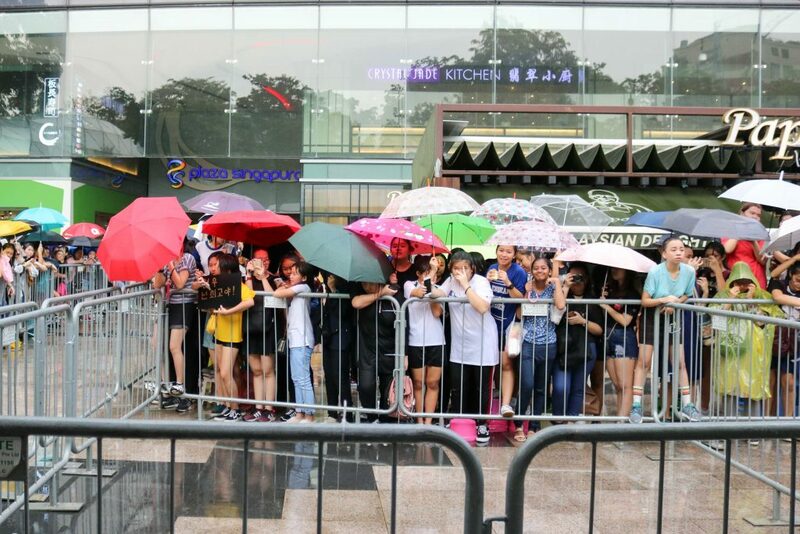 “Everyone [fans] took out their umbrellas and we couldn’t see anything at all. I was very sad because I waited here for 3 hours for them,” she said. Aside from huddling with fans in the rain, her schoolbag and belongings were soaked. Another fan, 24-year-old Leah Shannon, felt that no one was to blame for the unexpected situation. “I mean if it’s an outdoor event, you can’t help it if it rains or not,” she said. Although the members were seated under a sheltered tent, they were visibly concerned about the safety of their fans. He also cheekily added that he would want to rescue fans from the rain if he had sufficient time, earning a roar of cheers. Thanking the crowd for coming, rapper Jooheon said that the overwhelming love and positive energy from fans are what motivates him. 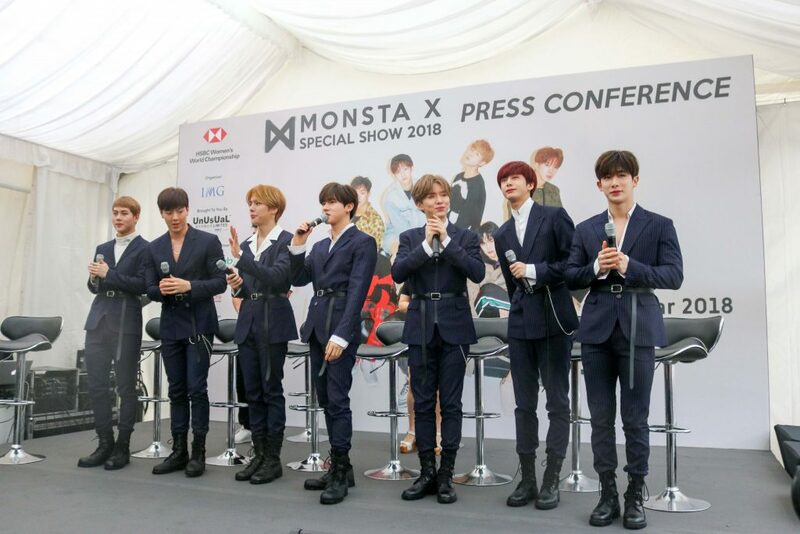 With regard to the boyband’s future plans, member Kihyun shared that fans can expect a brand-new song and an upcoming 2nd World Tour.